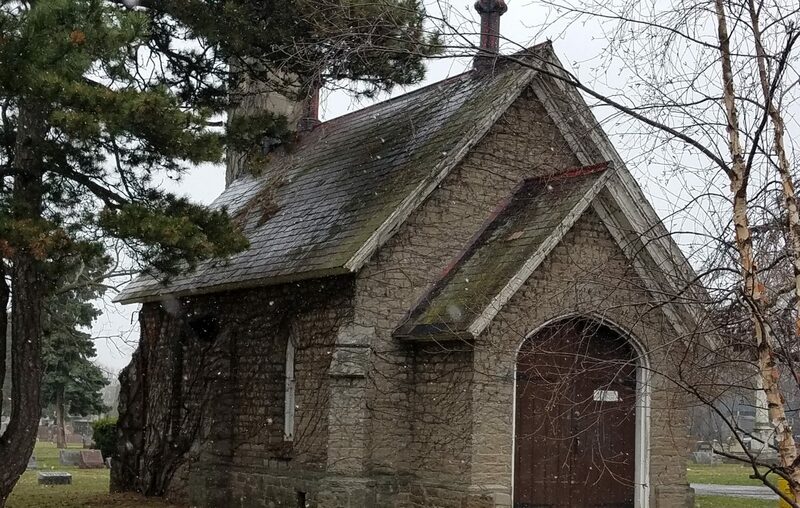 Oakwood Cemetery in Niagara Falls, the last resting place of many of the city's most well-known figures, is almost full. In an effort to remain in operation, the cemetery plans to spend an estimated $227,000 to build a facility to cremate bodies. It is a way to keep the gates open at the Portage Road burial ground, which dates to 1852 and is listed on the National Register of Historic Places. "The economic reality is, people don't bury as much as they used to," Timothy Baxter, director of operations, said this week. "We need a new retort to stay in business." A retort is the mortuary term for the incinerator that burns bodies. Oakwood has an oil-burning retort, installed in 1957 in a small chapel near the main entrance. "It's on its last legs," Baxter said. The chapel itself dates from 1877. Along with the mausoleum and the office building, the chapel has a separate National Register listing. The new crematorium will be fueled with natural gas and have computerized controls, said Whitney Mallam, a member of the Oakwood board and its immediate past president. Oakwood has one of only two cremation facilities in Niagara County. The other is at Niagara Falls Memorial Park Cemetery in the Town of Niagara. Mallam said the new crematorium will feature a carport, allowing hearses to drive in and drop off caskets, and a viewing area where families can see the casket sliding into the retort on a conveyor belt. Family members would even have the opportunity to push the button to start the conveyor, Baxter said. They won't see the actual fire. Baxter said after the ashes cool, they will be given to the funeral director to present to the family. More than 22,000 people are buried in the 18-acre cemetery. Only about 700 burial plots are left. Its mausoleum also is full. "We have tons of cremation burial space," Baxter said. In addition to the columbarium — a wall in the mausoleum where ashes can be placed — the cemetery is allowed to place as many as three sets of ashes atop a family member's in-ground burial vault. "It's economical to bring ashes that have been on a mantel or in a closet," Baxter said. The Niagara Falls Planning Board approved the project Wednesday night.